Upcoming, in advance of Helsinki Design Week, the Windowfarms Finland collective and the New York-based initiators Britta Riley and Ted Ullrich meet for first time. The events they have scheduled at Hub Helsinki take place as a manifestation of trans-national collaboration in open design, urban food growers and technology exchange, focused on windowfarming. See event information below and/or join Hub Helsinki's facebook event. 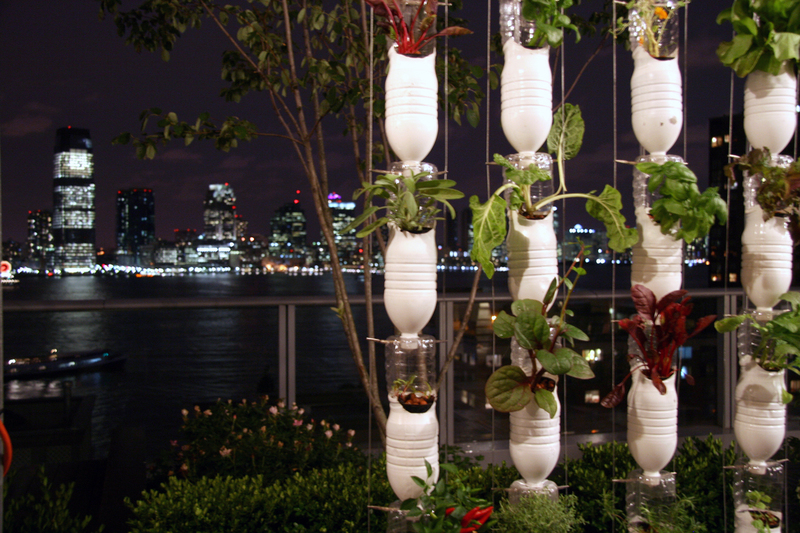 ‘Window Farms’ are vertical, hydroponic, modular, “low-energy high-yield” window gardens built using low-impact or recycled local materials. They were introduced into the Finnish context by Mikko Laajola, Andrew Gryf Paterson and Niko Punin, who produced and developed a grand 81 bottle installation in Kiasma takaikkuna for 5 weeks, preluding and part of Pixelache Helsinki Festival 2010. The production was supported by AVEK (Promotion of Audiovisual Culture). Since then windowfarming has sprouted some offshoots in other places locally, but outdoor growing season began to displace it. Now in early Autumn, as a hosting-collaboration between Hub Helsinki and Pixelache, the Windowfarms initiators from NewYork, Britta Riley and designer Ted Ullrich, have travelled to Finland for the first time thanks to the MK Gratitude Fund of RS Social Finance. They come to share their latest designs and experiences, and it is hoped their shared programme together will develop further exchanges in the future between the urban food growers and windowfarmers of Helsinki and New York. 5/10/20€ donation towards materials and installation is welcome at this presentation event. Installation of Window farm system + kick-start for designing the lighting condition etc, to be installed at least for Helsinki Design Week.